Two of the best recent purveyors of atmospheric bass music, Sepalcure and Shlohmo are teaming up for a three-date mini tour this December, where each artist will be performing an audio/visual set. For Sepalcure’s set, they’ll be collaborating with NYC visual artist Sougwen Chung, and details on Shlohmo’s visual portion of the set have not been revealed yet. The mini tour hits San Francisco, Chicago, and Cambridge. The Chicago show happens on December 28 at Bottom Lounge. TIckets for that show are not on sale yet but check ticketweb for updates. A list of all dates and the tour flier are below. 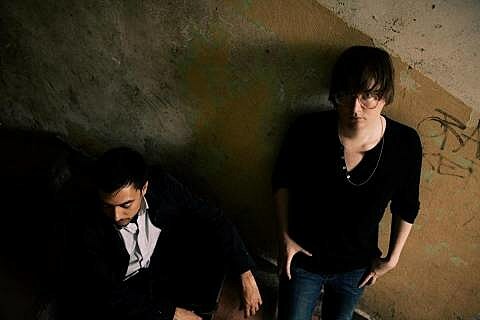 In related news, Machinedrum, who is one half of Sepalcure with Braille, is also one half of Jets with Jimmy Edgar. They released their debut self titled EP this week (10/29) via Lesiure System. You can stream the tracks “Meu” and “Lock Lock Key Key” off that EP below and you can order the EP on Boomkat in digital or vinyl formats. Machinedrum also dropped a new song called “Diablo,” which you can download for free.